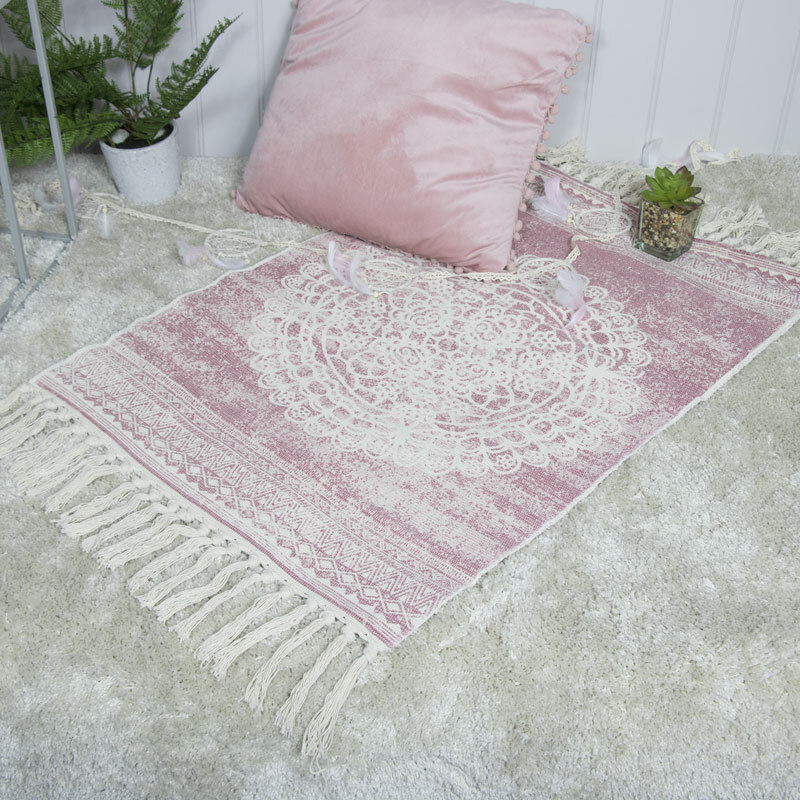 This Bohemia inspired pink floor rug is perfect for adding a BOHO and Scandi feel to your home! Greet your guests in your entrance and hallway or simply add a focal point to your living room or bedroom floor as the Mandala style design catches eyes. The pink is complemented by a subtle cream and is fringed with tassels to influence the Eastern vibe the rug oozes. 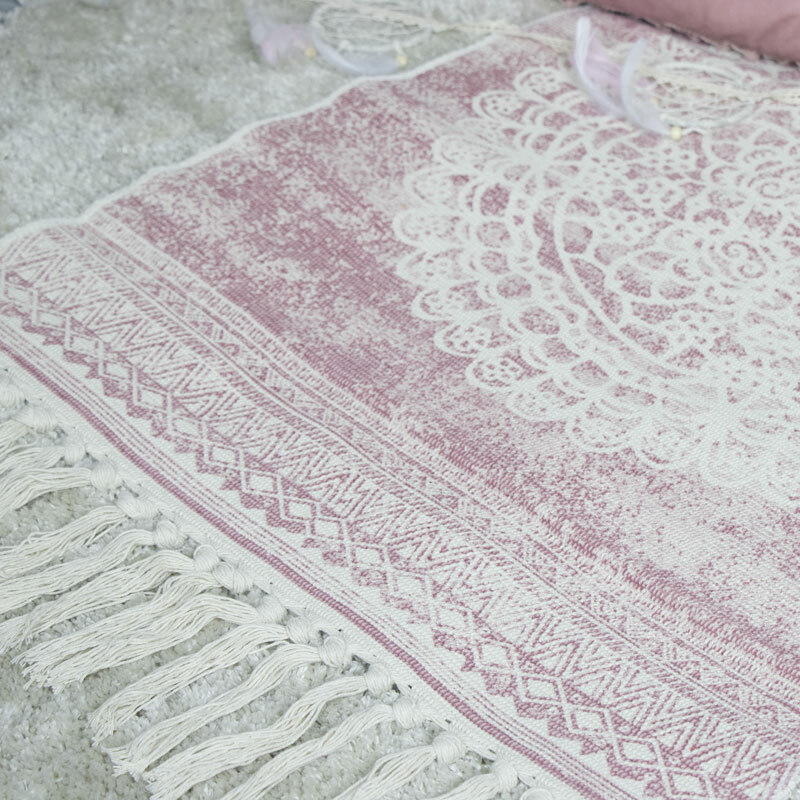 This Bohemia inspired pink floor rug is perfect for adding a BOHO and Scandi feel to your home! Greet your guests in your entrance and hallway or simply add a focal point to your living room or bedroom floor as the Mandala style design catches eyes. The pink is complemented by a subtle cream and is fringed with tassels to influence the Eastern vibe the rug oozes.